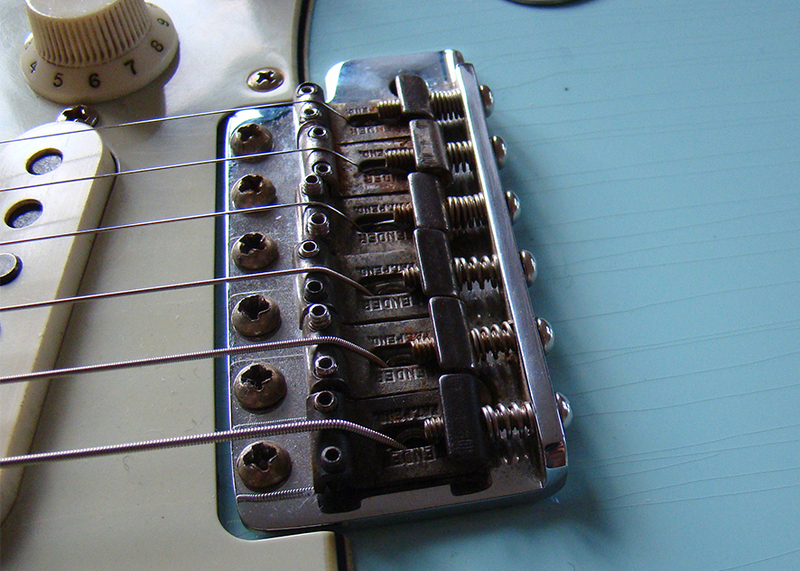 If you need a genuine vintage Stratocaster bridge or individual components we may be able to supply what you need. Vintage Haven holds a small number of 1960s vintage tremolo parts and complete assemblies. We also have a few spare saddles should you just require a replacement. Original pat.pend. saddles are becoming harder to differentiate from the good replicas now available. If only a genuine part will do then get in touch. These parts are getting near impossible to find these days. 5 near mint pat.pend. saddles + orphan!